Workshop fee is $70 for members. Persons under 16 are allowed with discretion of a Board Member and with supervision of a parent. Refunds for this workshop will be made only if the workshop chair receives your cancellation request 3 weeks prior to the workshop date. See our refund policy for details. Workshop fee is $80 for non-members. Persons under 16 are allowed with discretion of a Board Member and with supervision of a parent. Join us at Clay Planet and attenD 4 90-minute workshop sessions with some of our favorite artists! Information about each of the 90 minute workshops offered is below, as well as additional registration information. Allan Douglas will show you his Landscape Bowl design. If you bring your own soft leather hard bowl and your favorite carving tool (Some tools will be available on site for purchase), you can join in, but it's not required. Matt Hoogland will teach us the basics of caring for your kiln. If you have your own a kiln or want one, come on down. In this demonstration workshop participants will be given recipes for flameware clay bodies, and learn all of the do's and don'ts it took Shawn years to learn the hard way. Shawn will prove his clays versatility by cooking on his Flameware during the workshop. Shawn will demonstrate a frying pan with cool to the touch handle, and a larger dutch oven. 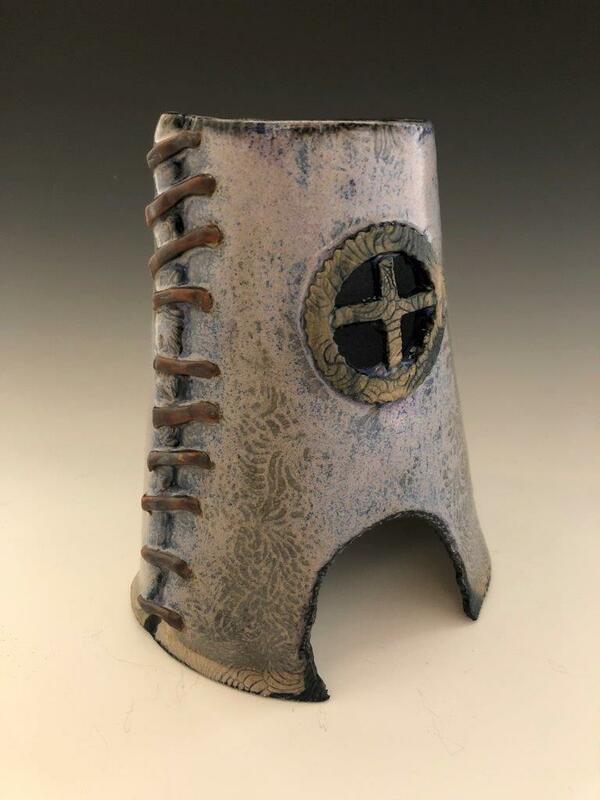 A big supporter of function first in all pottery, Shawn will also give great tips for making all of your work better to fit its specific function. Shawn will demonstrate his signature flasks, bourbon tumblers, tea bowls, "pint glasses" and bottles. This demonstration workshop will also be focused on how to better your wheel throwing, and make your pieces better in every way. We will focus on the why we make things the way we do to better support the function of the piece. Lynn Wood delights with image transfers on clay. You will be doing a sample on a tile provided, but you may bring in your own small, flat, smooth greenware that is JUST leather hard. Elaine Pinkernell puts the fun in functional! Beautiful teapots will be created from torn up and textured slabs! Kurt Salinas shows off his slip casting skills- more information to come. Charleen Renate gets her slip ready for surface decorating. She will be showing her recipe for perfect slip and tiles will be provided to play. Bring your favorite slip tools (Some tools will be available on site for purchase). Cristina Chang shows off her adorable animals, she will be teaching us how to take an inspirational 2D image and make it into a 3D form. STEP 1: Select your first and second choices for each time slot. We will do our best to get you your 1st choice, but space is limited. Registrations are not complete until the workshop chair receives a copy of this registration form, as well as a check or PayPal payment for the total amount of the workshop. Please allow adequate snail mail time if sending physical paperwork or payment.